The title is an homage to a website that inspires me. The night of the ice cream freeze torture social, I was supposed to go talk to a class at Concordia about ways to use technology in primary grades. (Hey. I can hear you snickering.) The social was winding to a close and I was walking down the hallway at the CDC when 2-year-old Andrew bolted away from his mom and ran into the back of my legs. 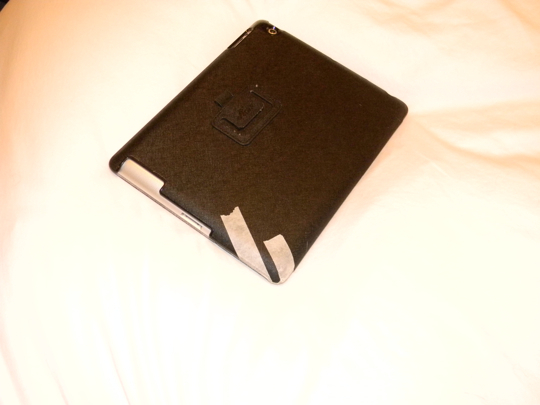 It wasn’t a huge hit, but it did make my iPad slip out of my hand and hit the ground corner-first. The machine itself was fine. A little tab on the case was broken, though, so it is no longer reliable. On the new one CDC will give you, or put the insides into a new case for you, buy a tube of clear silicone to apply around the rim—to cushion it in its next fall. How the heck did the world get along before the invention of tape? And I laughed out loud at some of those ‘fix-its’ on the link. I was just talking the other day with someone about cases that serve a style purpose vs. cases that serve a protection purposes. I’m glad yours protected. Dropping an electronic is such a sickening feeling.